We are having problems with some of our PayPal Buttons. Sorry for the inconvenience. If you are not directed to a SHOPPING CART when you click “Add to Cart,” please email Jess@criticalresistance.org and we will get you your desired goods. Getting merchandise is a solid way to support Critical Resistance! Every purchase you make directly benefits practical and visionary organizing toward abolition. Thank you for sharing your resources and keeping CR strong. $19.95 each, 50% of donations will go to CR, thanks to a generous Verso donation! $20 each; this cost is $6.95 cheaper than list price- great deal for you! 100% of purchase will go to CR, thanks to a generous donation from the author, Naomi Murakawa! What we fight for today will shape our future. We invited you to check out this great read to develop a sharper analysis on reforms. What reforms expand imprisonment and policing? 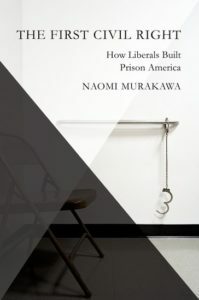 How has liberalism fueled the expansion of the prison industrial complex (PIC) in the name of civil rights? Excellent political analysis for our movement and available this month at a price that 100% supports movement work to dismantle the PIC! 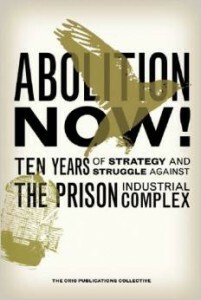 Published in honor of Critical Resistance’s tenth anniversary, Abolition Now! reflects the themes Dismantle, Change, and Build. 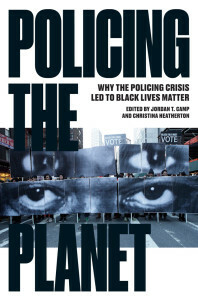 It presents bold strategies to create a stronger movement of people committed to PIC abolition and to build healthy communities free from surveillance, policing, and imprisonment. Abolition does not just demand that we close prisons; it demands that we open the means by which all people can live lives of security, opportunity, and beauty. Read this book to find out what is happening, and how to fight on every front against prison as a deadly, catch-all response to social, economic, cultural and political problems.